Marina Zueva gives American ice dancers a real shot at gold for the first time in the history of the event. 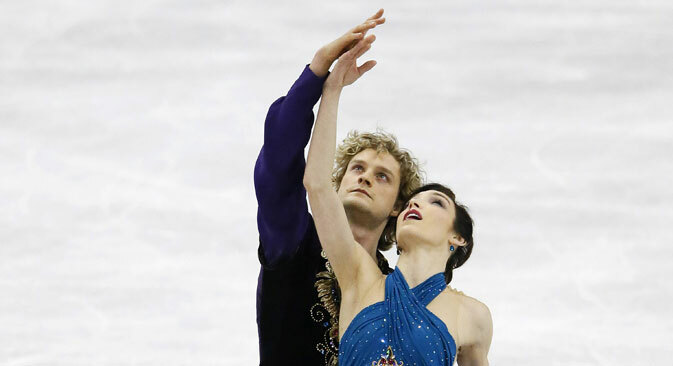 When Sochi-bound ice dancers Davis and White first performed their interpretation of Rimsky-Korsakov’s “Scheherezade,” the crowd gave the skaters a standing ovation for a fluid, flawless dance. In an interview with Figure Skating Universe, Shpilband acknowledged that at that time he was caught unaware. He was invited back to Russia to coach. “I got a call from the Russian Figure Skating Federation,” he said. But ultimately, he decided to stay in Michigan and is again filling his roster with the most promising American skaters. Zueva, Shpilband, Klimova and Ponomarenko, along with other Russian and Soviet coaches now living in the United States, were officially selected at young ages to skate. When Zueva was chosen to be an ice dancer, “I was deeply homesick,” she recalled.